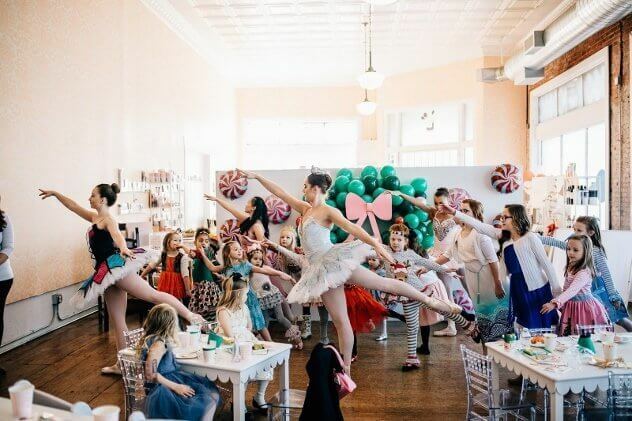 Earlier this month, we hosted our annual Nutcracker Tea Party. We ended up doing a breakfast and a lunch to accommodate more party guests. The morning was filled with dreams of sugar fairies, actual sugar and lots of dancing! We wanted to keep certain elements of our event from last year, but also change it up to keep things fresh. Our inspiration was based on the Nutcracker party supplies collection by Meri Meri for the year. They came out with so many fun things to work with and set beautiful tables! We set kids’ tables and large tables for our party guests. 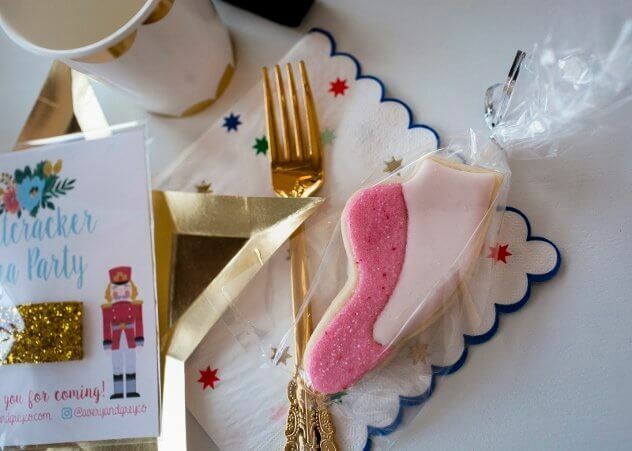 For the tableware, we had fun mixing the Nutcracker print, gold stars and mint grid plates with the Nutcracker star napkins. We topped off the napkins with our fancy style plastic forks and each place setting had a festive cup. We set out fun head accessories for the littles to wear during the party: paper solider hats, floral tiaras, floral headbands and star headbands. Always fun to dress up for tea party/dance party morning! For their party favors, we worked with one of our favorites, Avery & Grey, and the girls received a snap clip. Her packaging was perfect for the event! For the boys, I found small, wooden nutcracker ornaments. Each place setting also had an amazing cookie made by the talented Sweet Suglarlicious. I send her pictures of the supplies and she works her magic to bring them to life in cookie form! She does an incredible job. We also served cupcakes using the Nutcracker cupcake kit. They were made by another local favorite, Cara, owner of September Moon Cupcakery. For breakfast we served fresh fruit and bagel slices, and for lunch we had fruit, vegetables and kid favorite, Chick-fil-a nuggets. Drinks, we kept simple: lemonade, juice and water. I did have one little girl sad we didn’t serve hot tea and it made me laugh a little. Maybe next year! On the backdrop, we followed a Studio DIY demo (love them!) that caught our eye while scrolling through Instagram. We ordered a mix of Qulatex balloons and made it bigger tweaking a few of the instructions. The peppermint balloons added a fun Land of Sweets feel. I love how it all came together and added a fun pop of color behind the dancers. The best part of the morning was working with Ballet Wichita’s Nutcracker performers. They interacted with the children, performed for them and showed them a mini dance routine. It was adorable! The children “oooh”ed and “awww”ed over their gorgeous tutus and costumes. Some children were a little shy, some became best friends and some wanted to sit back and stare in wonder. The morning was so whimsical and fun. The children seemed to have a wonderful time interacting with the dancers and enjoying their “tea” party. 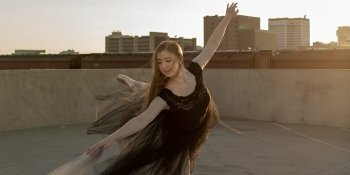 Thank you so much to Ballet Wichita for sending such lovely dancers to our event. 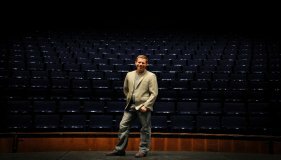 Also, thank you to Erin Kata Photography and Sally Cavanaugh Photography for capturing the magical moments! Loved working with you both. Also, special shout out to our event coordinator, Rachel, for putting together the giant balloon wreath!